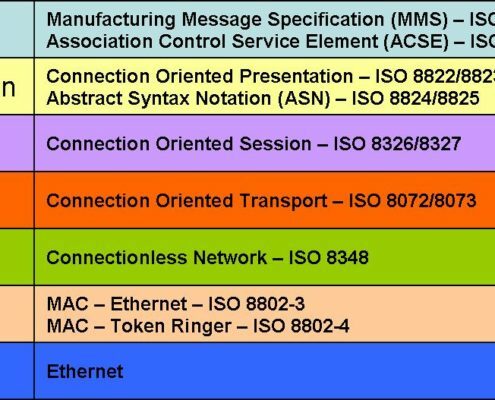 Because the OSI (Open Systems Interconnection) protocols are challenging to implement, the original MMS stack, based on all OSI protocol layers never became very popular. 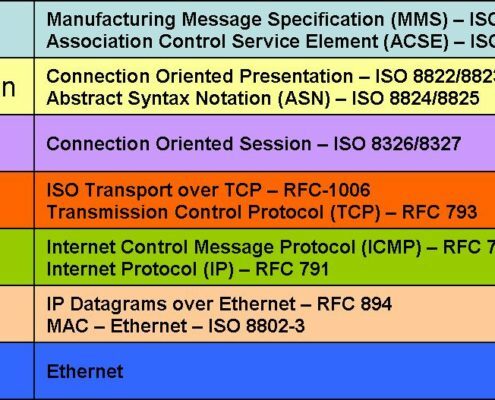 In 1999, a new version of MMS was published, using the easier, and widely deployed TCP and IP protocols instead of the bottom four OSI layers. On top of the IP and TCP lower layer protocols, one then requires RFC 1006 (“ISO Transport over TCP”) in the Transport layer. The top three MMS layers use the same OSI protocols as before.